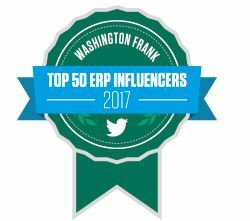 Business Leads and Technology Supports | ERP the Right Way! There is a misconception in the ERP market that says technology is the key enabler to business maturity. In a previous blog (ERP is Only Part of a Business Solution) I discussed the supporting role ERP plays in a business solution. 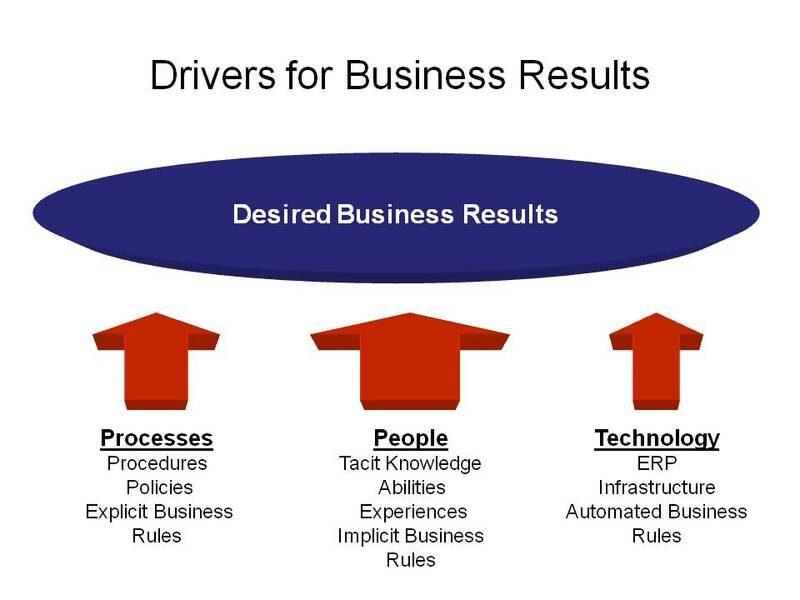 Business processes and people have a far greater influence on business process maturity and business results. Let’s clear up this misconception by examining two areas that have driven its general adoption. I do not believe that technology is changing business but rather technology is finally catching up with leading business practices. For example, back in the early nineties I read a book on the e-business revolution. The major premise of the book was that technology was transforming existing business models into an e-business model. The book provided an example where inventory stocks could now be checked in retailer stores and inventory orders could be generated to maintain a desired stock level. The book explained that this is an emerging requirement due to new e-business technology. I have to humbly disagree with this analysis. The above requirement had always been a desire of business. I remember back in the early fifties when my father would make the rounds as a salesman to his retailer customers to see their inventory and manually created orders to maintain the retailer’s inventory levels. Many businesses did not perform this process because (a) it was manually intensive work, and (b) it reduced focus on higher priority business activities. Technology is now providing a cost-effective vehicle to accomplish this business requirement. Everyone has heard the phrase “build it and they will come”. Several internal IT and external Implementation Partners & ERP vendors have used new technology as the value proposition for ERP implementations. This philosophy may have worked in the era of “green screens” and emerging client/server technologies but it does not work in today’s world. Technology driving Business is like putting the cart before the horse. I recently talked with a customer where the IT organization and ERP vendor took the above approach for implementing new Business Intelligence (BI) software. The business users felt limited and constrained by the technology. Results – user adoption was low and now business users are looking at implementing their own BI solution(s). Needless to say that the ERP vendor, the Implementation Partner, and their own internal IT organization are no longer considered trusted advisors. It is important to note that business processes and people have a far greater impact on business results than technology. Technology can be a cost-effective solution in automating consistent rules and activities. However, technology like ERP can only utilize information that has been codified. There will always be tribal business-related knowledge and experience that exists outside technology. Some of this tribal knowledge is leading or emerging business activities/rules. In this situation where business rules and activities are radically evolving then technology is not a cost-effective solution for automation. It is important to understand and appreciate what technology can and cannot do for a customer. Often the true problem lies not with the ERP software itself (granted there always software bugs and fixes to apply) but rather the demand for quick fixes and rapid cures to business challenges. If the ERP software did not improve the performance of the underlying business model then executive management would conclude that the ERP implementation was a failure. Technology like ERP can be an enabler and a limitation for customers. To ensure enablement over limitation you must first understand the right relationship between business and technology. Once you understand the key strengths and weaknesses of both areas then you will have a greater insight to the right application of technology to support the customer in driving valued business results.